Nigerian born basketball great, Hakeem Olajuwon, was born on January 21, 1963. Olajuwon played center for the Houston Rockets, whom he led to back-to-back championships in 1994 and 1995, and the Toronto Raptors. 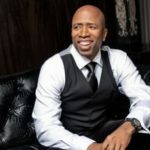 Long considered a physical marvel since his days at the University of Houston, his creative and productive play highlighted by his Houston Rockets’ back-to-back NBA titles earned him a place among the game’s best. Olajuwon traveled from his home country of Nigeria to play collegiately for the University of Houston. Hakeem had a standout career for the Cougars alongside future NBA Hall of Fame player Clyde “The Glide” Drexler, which included three trips to the Final Four. Olajuwon was drafted by the Houston Rockets with the first overall selection of the 1984 NBA Draft, a draft that included Michael Jordan, Charles Barkley, and John Stockton. Olajuwon joined the Houston Rockets and was affectionately known as Hakeem “The Dream” Olajuwon. He combined with the 7 ft 4 in (2.24 m) Ralph Sampson to form what was dubbed the “Twin Towers” duo. The two led the Rockets to the 1986 NBA Finals where they lost in six games to the Boston Celtics. After Sampson was traded to the Golden State Warriors in 1988, Olajuwon became the undisputed leader of the team. He led the league in rebounding twice (1989, 1990) and shot-blocking three times (1990, 1991, 1993). 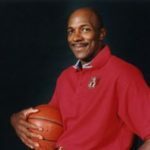 In the 1993-94 season he became the only player in NBA history to win the NBA’s Most Valuable Player (MVP), Defensive Player of the Year, and Finals MVP awards in the same season. 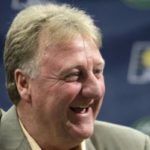 His Rockets won back to back championships against The New York Knicks, avenging his college championship loss to Patrick Ewing, and Shaquille O’Neal’s Orlando Magic. In 1996, Olajuwon assisted in the gold medal-winning performance of the United States national team, and was selected as one of the 50 Greatest Players in NBA History. He ended his career the league’s all-time leader in blocked shots. Olajuwon is also the only NBA player ever to end his career in Top 10 for blocks (1st all-time) and steals (7th all-time). Listed at 7 ft 0 in (2.13 m) but closer to 6 ft 10 in (2.08 m) by his own admission, Olajuwon is generally considered one of the five greatest centers to ever play the game, along with Bill Russell, Wilt Chamberlain, Kareem Abdul-Jabbar, and Shaquille O’Neal. 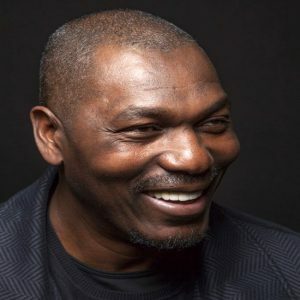 Olajuwon is also a devout Muslim who observed Ramadan throughout his NBA career. He was reverentially nicknamed “Hakeem the Dream” for his grace on and off the court. In 1993-94 he had a storybook season, becoming the first player to be named NBA MVP, NBA Defensive Player of the Year and NBA Finals MVP in the same season. 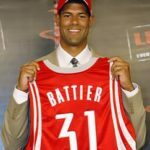 The following season he rallied the Rockets from a sixth seed in the playoffs to their second straight NBA crown, making Houston only the fifth NBA franchise ever to win back-to-back titles and earning him a place among the NBA’s all-time best. Olajuwon is the NBA s all-time leader with 3,459 career blocked shots and finished the 1998-99′ season ranked 11th, ahead of Jerry West, all-time for career points scored. Olajuwon is one of only eight players in NBA history with over 20,000 points and 12,000 rebounds in his career. 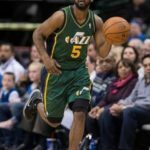 He was selected in 1996 as one of the 50 Greatest Players in NBA History.